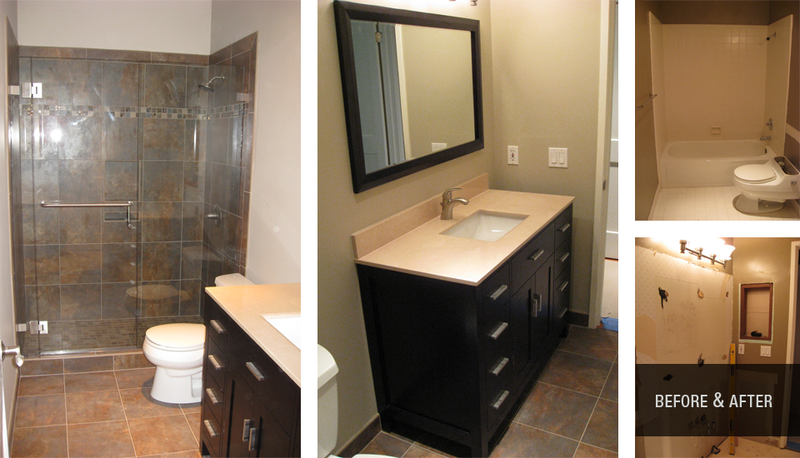 Completely stripped down and refreshed, this bathroom renovation replaces a standard tub with a luxurious custom tiled shower boasting a frameless glass enclosure, and updates a dated medicine cabinet and vanity with a sophisticated new mirror and vanity set featuring more functional storage. Project included: Bathtub to shower conversion, installation of a custom frameless shower enclosure, new toilet, vanity, tile, and paint. Designed by owners.